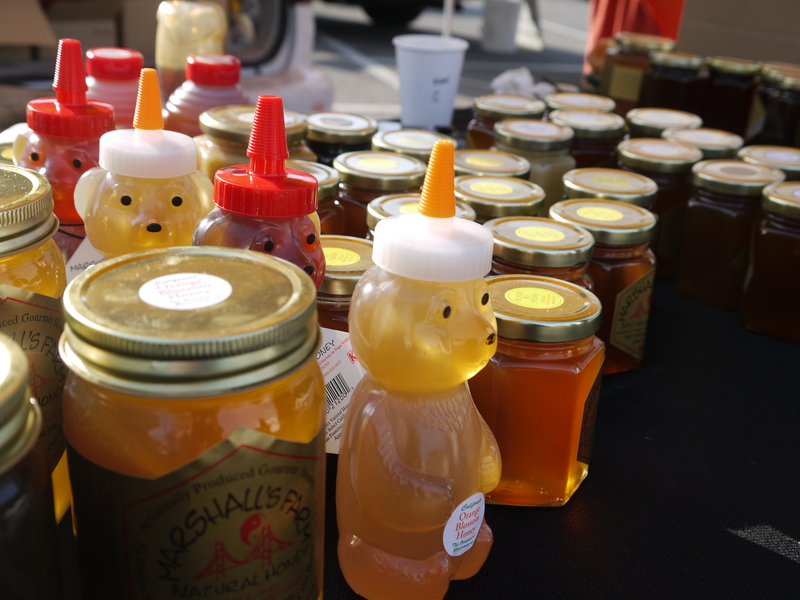 In walking through the San Rafael Farmers Market one recent Sunday, I was captivated by the overwhelming variety of honey carried at the Marshall Farm stall. After tasting several types, I settled on a jar of flowery orange blossom, which tasted like eating a warm, sweet ray of sunshine. “The salt profile in the cheese perfectly balances the sweet notes in the honey. But layered on salt are the complex deep floral, caramel, mushroomy (umami) spice and a plethora of other flavors that pop up in honey. One important element is to seek out a varietal honey with robust flavor notes that will stand up to the big tastes in the aged (saltier like a Pecorino, Parmigiano, aged goat, blue veined etc.) cheese. My cheese honey epiphany occurred years ago on a trip through northern Italy when I was served a sliver of oozing gorgonzola dolce with a drizzle of chestnut honey and a couple of toasted walnuts on the side. To this day that is the benchmark for a perfect pairing of cheese and honey. Chestnut honey can be very tannic (typical of many tree blossom honey). It is almost bitter and not to everyone’s liking but with the right pairing it can be amazing. To this day 30 years later I keep a bottle of Italian chestnut honey (I have sourced it in CA as well) in my “honey library” for when I come across a perfect gorgonzola dolce”, she said. With that in mind, I pulled the first fresh apricots of the season from my basket. 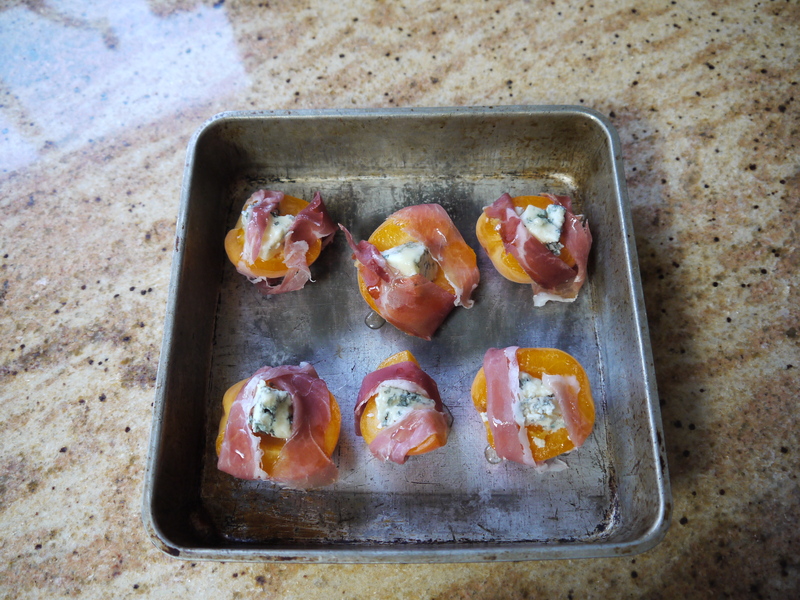 Following Simmons’ advice and thoughts on what inspired “A Taste of Honey”, I stuffed the apricot halves with a hunk of the blue and wrapped each half with a strip of prosciutto, then finished the dish with a drizzle of honey, glazing the cheese, apricots and prosciutto before popping them in the oven to roast. 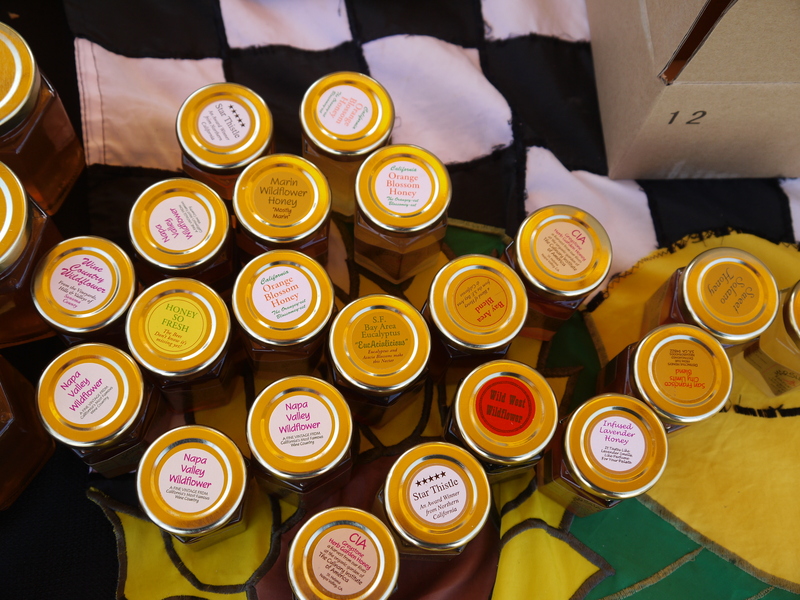 “As a cook, exploring honey used in savory dishes has been most exciting. Ever try finishing a stir fry with a swirl of honey? It tempers the heat of the ginger and pepper and the salt of the soy and compliments the garlic. Gives the entire dish a lovely sheen. Honey balances the acid in a dish as in tomatoes. 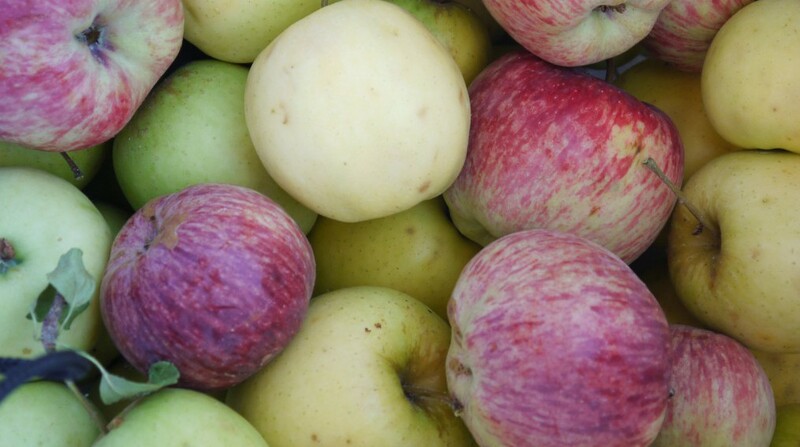 Try a drizzle on a salad dressed with a bold vinaigrette,” Simmons added. So while the apricots were roasting, I threw together some fresh salad greens and made a dressing mellowed with more of the honey. The finished dish hit all the right notes with the salt from the cheese and the sweetness of the honey tap dancing on my palate with the tartness of the apricot and the porky, crispy prosciutto. The salad was the perfect backdrop with a zippy balsamic dressing tamed by the addition of honey. Preheat oven to 400. Stuff each apricot cavity with a cheese nugget then wrap a prosciutto strip around the apricot. Place in a 8″ baking dish. Dab 1/2 teaspoon of honey on the cheese, top of the apricot and the prosciutto. Roast in the oven 5-7 minutes until chess is melty, prosciutto is crisped and apricot is jammy. Set aside to cool slightly. Place salad greens in a medium mixing bowl. In a small bowl, mix the honey and vinegar together then gradually drizzle in the oil until a smooth dressing forms. season with salt and pepper to taste. Toss the greens with the dressing. Arrange dressed greens on a platter and place apricot halves decoratively on top. Serve immediately. 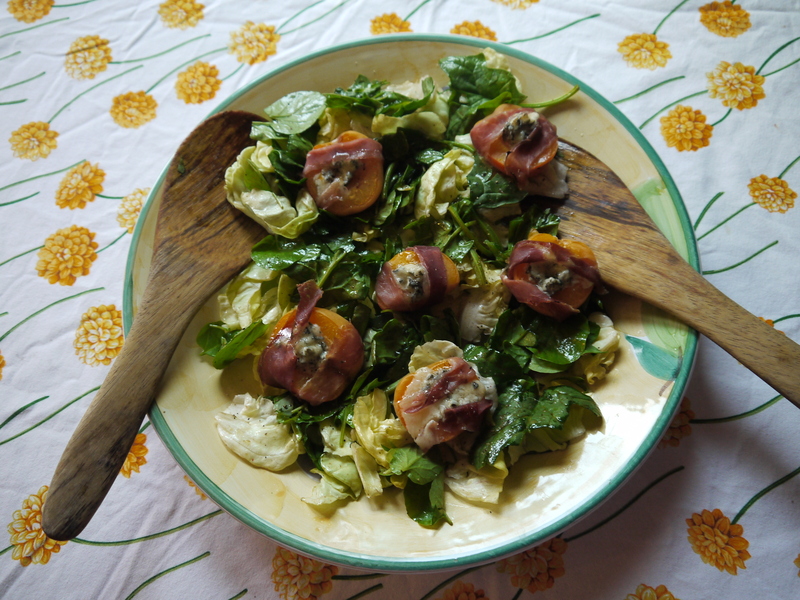 This entry was posted in Recipes, Salads, Uncategorized and tagged blue cheese, cheese, farmers market, Marie Simmons, orange blossom, recipe. Bookmark the permalink. Thank you for the nomination and I’m so glad you like the blog. I loved reading your blog about all things Brighton and hope to visit there sometime.